The Episcopal Assembly of Oceania solemnly marked the 1,700th Anniversary of the issuance of the Edict of Milan by the Roman Emperor St Constantine the Great in 313 AD with the Pan-Orthodox celebration of Great Vespers for Feast of Sts Constantine and Helen on Monday evening, 20 May 2013. 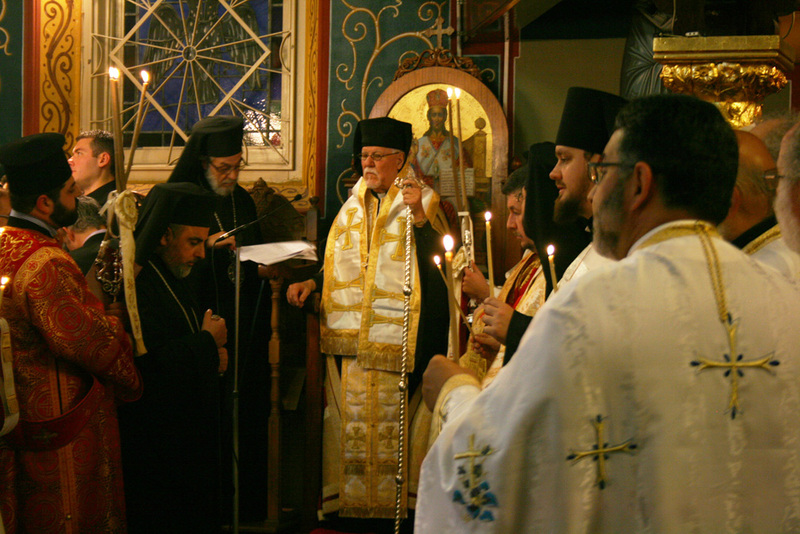 This special Inter-Orthodox commemoration was hosted by the Greek Orthodox Church of Sts Constantine and Helen in Newtown, New South Wales on the eve of their Patronal Feast. 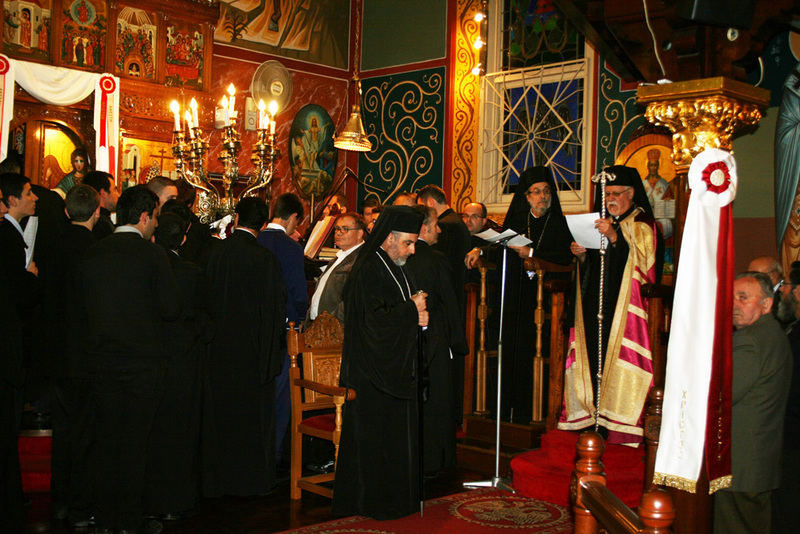 Presiding over the service of Great Vespers was His Eminence Metropolitan Paul of the Antiochian Orthodox Patriarchate, in the presence of Their Graces Bishop Seraphim of Apollonias and Iakovos of Miletoupolis of the Greek Orthodox Archdiocese of the Ecumenical Patriarchate, assisted by a multitude of priests and deacons from the various canonical Orthodox jurisdictions in Australia. 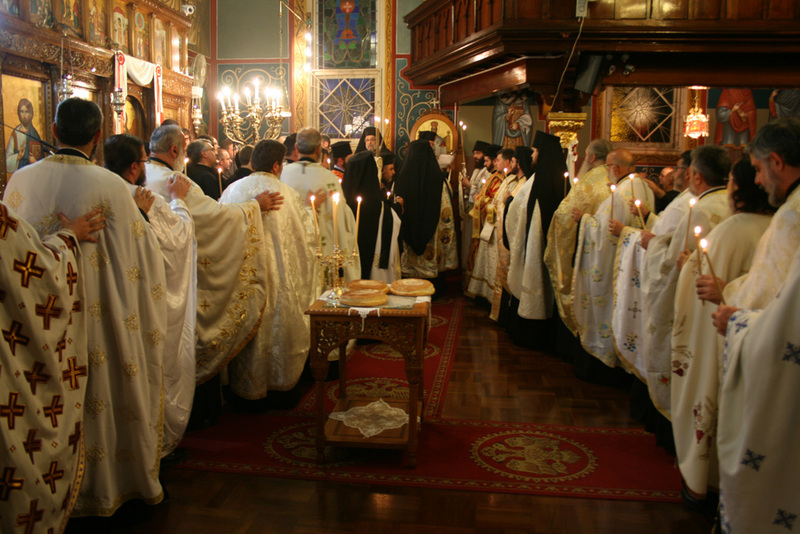 A magnificent array of Orthodox liturgical chant was sung in a variety of national traditions and languages with responses offered by the Orthodox choirs and chanters of the Greek, Antiochian, Russian and Serbian Orthodox Churches. This year of the Lord’s goodness was given us a rare and true celebration: it has been given us to celebrate 1,700 years since the day when the Providence of God spoke through the Holy Emperor Constantine and freedom and empowerment were given to the Christian faith. This is truly a special year and a special jubilee. For the Holy Emperor Constantine was no ordinary Roman Emperor, like the others. His victory was not a victory like others. For his Edict was no ordinary imperial decree by which someone, through secular power, is forced to obey mere authority. On the contrary: it was all special and blessed, it was all so significant and great that even today we celebrate the light which shone forth with the Edict of Milan in 313 and with the great deed of the glorious Constantine, the convener of the First Ecumenical Council. For all Orthodox Christians, as well as all Christians and our friends from other faiths who grasp the significance of the Edict of Milan: may this spiritual joy and celebration multiply throughout the Oikoumene!